We've had a fair bit of royal sparkle to enjoy this year, magpies! 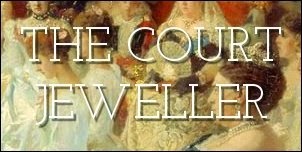 Here's my list of the top ten royal jewel moments of the year. There were so many to choose from -- settle in with a glass of celebratory champagne, and then tell us about your favorite bejeweled moments of 2015 in the comments below! When Maxima arrived at Christiansborg Palace for a state banquet this March, I know I wasn't the only one who gasped. She paired her gown from the 2013 inauguration ceremonies with the full version of the grand Dutch Sapphire Tiara, plus other diamond and sapphire pieces, including the stunning sapphire wing brooch. Denmark was also the site of Queen Letizia's big jewelry moment of 2015. At Queen Margrethe's 75th birthday gala, she wore the diamond and pearl tiara made for her by Ansorena for the very first time. As a bit of icing on the cake, she also donned a wedding ring at the event for the first time in years. The Nobel ceremonies in Stockholm almost always offer us an important jewelry moment for the year, and this time around the superstar was Princess Madeleine. She borrowed the amazing aquamarine kokoshnik tiara that had belonged to her grandmother, Princess Sibylla, for the December 10th banquet. The incredible blue aquamarines were a great complement to Madeleine's blue eyes. Monaco has never been the most glittering principality in Europe, but Princess Caroline stepped up her game at this year's Rose Ball, wearing her diamond fringe necklace with a lovely pair of diamond earrings that had belonged to her grandmother, Princess Charlotte. Camilla is one of the very best at carrying off major pieces of royal jewelry, and the new ruby demi-parure that she debuted in February at the premiere of The Second Best Exotic Marigold Hotel was no exception. When Kate arrived at her very first state banquet in October, she did so wearing pieces of jewelry that linked her to generations of queens past: the Lotus Flower Tiara from the collection of the Queen Mother, a diamond bracelet made from a choker that had belonged to Queen Mary, and diamond earrings borrowed from the present Queen. But it was the diamond bracelet that she borrowed from the Queen -- a wedding gift from Prince Philip made with Romanov diamonds -- that really spoke to her place in the family's affections. At Royal Ascot this year, the Queen wore an incredibly important British royal heirloom for the first time in public: the brooch from the crown ruby demi-parure, which dates to the reign of Queen Victoria. Even better, at a state banquet in Germany, she wore the brooch with its coordinating necklace and earrings. The crown rubies are traditionally paired with the Oriental Circlet; maybe we'll eventually see her wear that combo in the future? For years, many of us assumed that we wouldn't see Queen Mary's Lover's Knot Tiara again in public until Prince William's daughter came of age. Too many associations with Diana, we all assumed. Turns out we were seriously wrong -- a lesson we all learned when Kate arrived at the December diplomatic reception confidently balancing the historic tiara on her own crown. After Queen Fabiola's death in 2014, it was announced that all of her belongings were being given to charity. While that gesture was typical of her generosity, it was frightening for those of us who hoped that her major jewels had remained with the Belgian royal family. When her niece-in-law, Queen Mathilde, showed up at a state banquet in October wearing one of Fabiola's pieces, the Wolfers Tiara, I think we all breathed a collective sigh of relief. The jewels weren't new to us, and she wasn't the star of the show, but really, did any royal lady wear jewels better in 2015 than Maxima did at Prince Carl Philip's wedding in June? She wore the century-old Mellerio Ruby Parure as if it had been made just for her. Absolutely stunning!